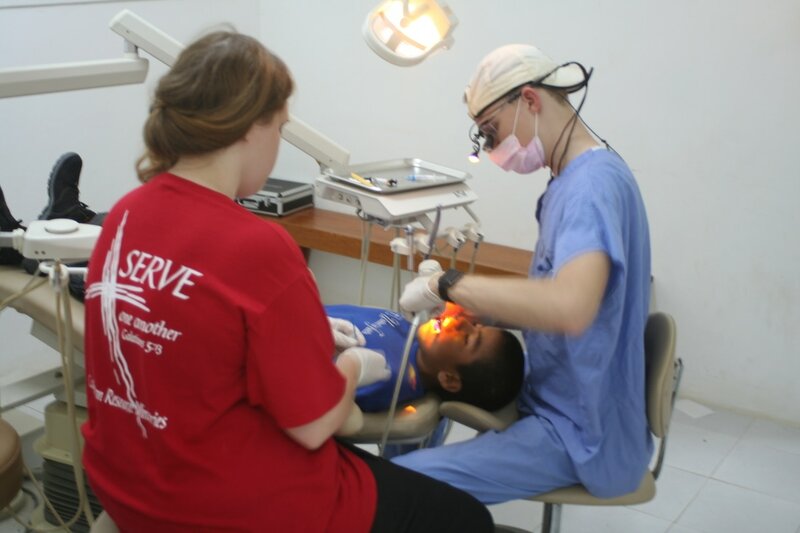 ​ In May, Dr. Charles Ramsey, a professor at the University of Mississippi School of Dentistry and CRM board member, led a team of dental and hygiene students to Belize on a dental mission. 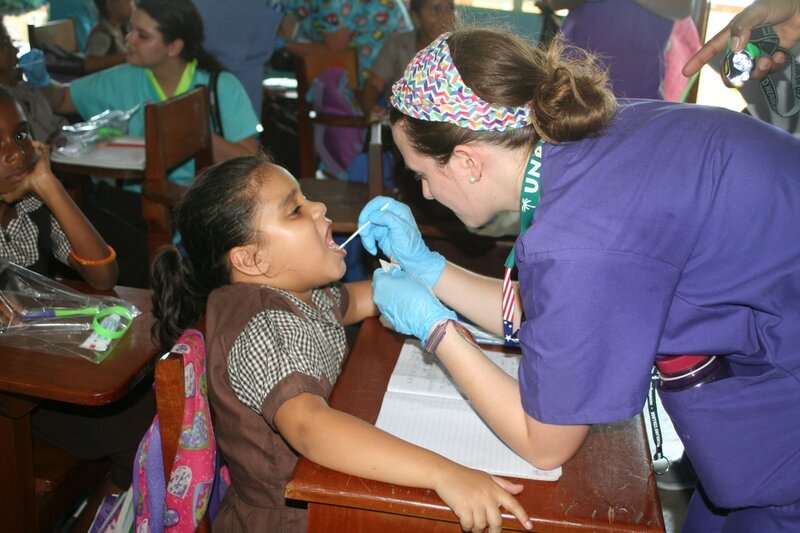 The hygiene group went from school to school treating over 2,500 primary school students with a decay preventive fluoride varnish and gave out over 3,000 dental packets of toothbrushes, toothpaste, etc. A group of dentists in the area offered their clinic for our use which enabled the dental group to see more than 200 of the students for restorations and cleaning. This is our fifth year of treating the same students. Without a doubt, the consistency of annual treatments will make a huge difference in the quality of dental health for those children. Of course, it’s been proven that good dental health also contributes to good overall heath as well. Please consider sending a generous gift to CRM for the continuance of this vital ministry! ​ When you shop online at Amazon, you can support Caribbean Resource Ministries without any cost to you. Simply go to smile.amazon.com and select Caribbean Resource Ministries as you charity of choice. Amazon will remember your selection, and then every eligible purchase you make afterwards will result in a donation to CRM. But rather than using amazon.com, you must use smile.amazon.com. Just remember to “add a smile.” Everything else on your Amazon account stays the same. ​Next month’s Ministry Enhancement Seminar will have a new twist. Instead of days of classes in just two locations, Dr. Jim Porter will make a countrywide speaking tour of Belize. The three-hour seminars will be presented in five locations that will span the entire country, north to south and east to west. Accompanying Dr. Porter and CRM director, Wayne Sellers, will be a team of workers whose task will be to enrich the learning experience of the participants. We hope to at least double the number of seminar attendees that would be possible with the old method. Our new contacts have expressed gratitude and excitement at the prospect of deepening their knowledge and sharpening their ministry skills. Pray for the mission!